Azurmalachite is a mixture of azurite and malachite. 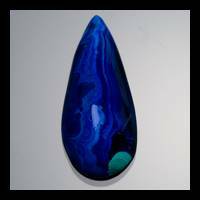 It is an attractive stone which combines vivid blue colour of azurite and saturated green colour of malachite. It can be cut into cabochons or used for small objects d'art.